In Sicily you’ll find an abundance of olive trees, always planted in perfectly spaced and well groomed patterns. After about five years the trees begin to bear fruit. Each Spring, in May, the olive trees begin to bloom and the pistils of the small white flowers will eventually become olives. Olives are harvested in early November, when nets are placed under the olive trees after which the farmers use a wooden fork to rake the olives from the trees. They use wooden ladders to reach the highest branches. The olives are then collected from the nets and put into crates or buckets. 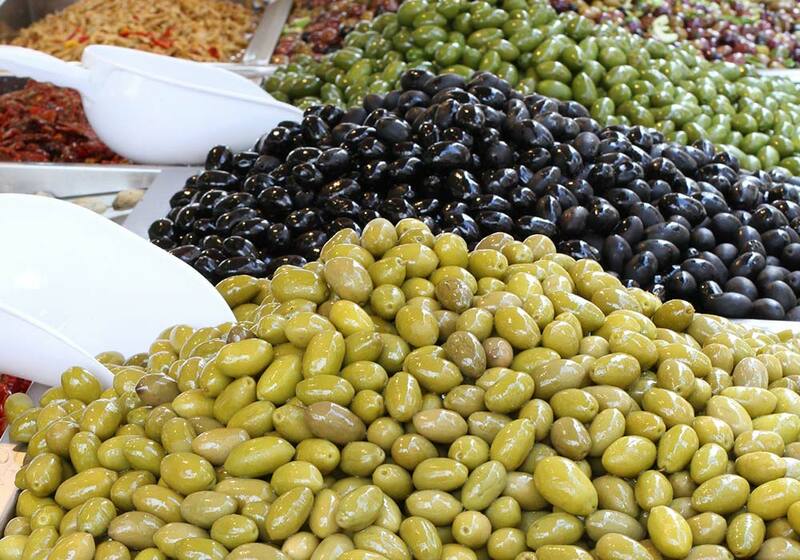 The main types are green, dark and brown olives. The green olives are picked before they are fully ripe, while the black ones were fully ripe when they were harvested. Freshly picked olives cannot be eaten immediately, because they are very bitter! The olives you’ll find in the store are already treated to remove this bitter taste. This treatment means that for several weeks the olives will be kept in tanks with water and salt (and sometimes some herbs) or placed in oil, after which they are often pitted and in some cases also filled. Only then are they ready for consumption. It will come as no surprise that you’ll find olives in a lot of Sicilian dishes. A good example is the famous caponata, a typical Sicilian starter (see Sicilian cuisine). Today the olive is still one of the most important agricultural products in Sicily. The olive’s main product is olive oil, of which hundreds of varieties can be found. The farmers bring their olives to the local frantoio/ oleificio where they are pressed into oil. Years ago, the olives were placed on a round stone, equipped with a trench. The olives were then pressed using a grind that was rotated by a donkey. This method didn’t produce a good quality oil, often because the olives were not well cleaned, leaving twigs and leaves mixed together with the olives. Today, before being pressed, the olives are cleaned using various machines which also remove all the leaves and twigs. Then they are crushed and pressed into a pulp, then placed in a centrifuge, which separates the oil from the water. Finally, after the oil is filtered, it is collected in special bins. The different types of olives determine whether the olive oil will be green or yellow. 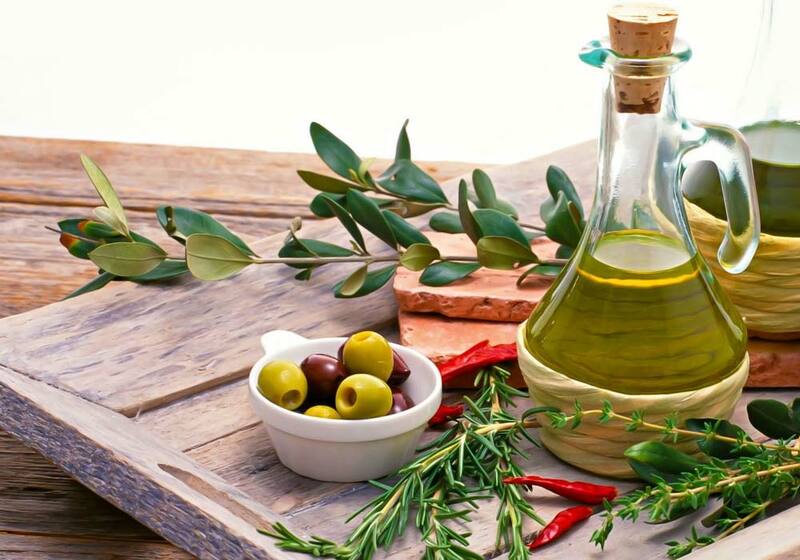 Extra vergine was formerly a designation for olive oil that was obtained by pressing olives the first time. 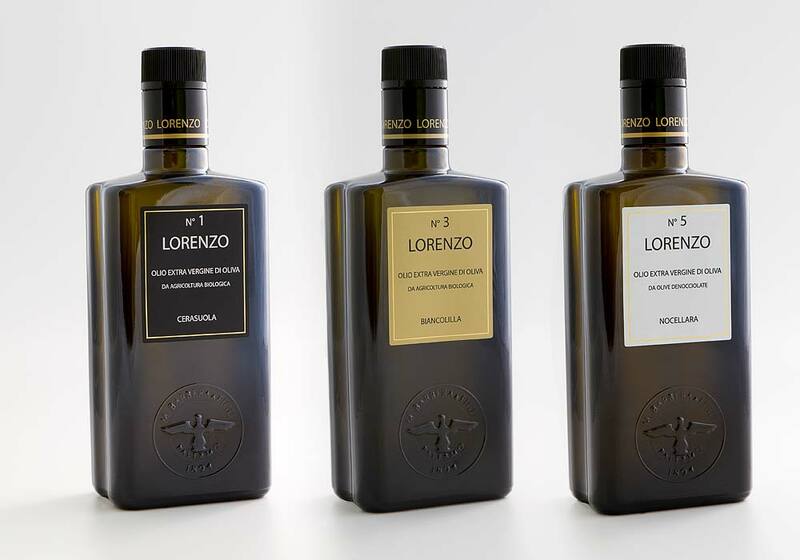 The vergine oil was obtained by pressing the same olives twice. Today the olives are pressed only once and the terms Extra vergine and vergine are only used to show the difference in acidity: Extra vergine olive oil has a maximum acidity of 1%, while the acidity a vergine can reach 2%. The area where the olives are growing and the way they are processed. The olive varieties that are used. The period in which the olives are harvested. The kind of storage where the olives are kept. The way in which the olive oil is conserved.